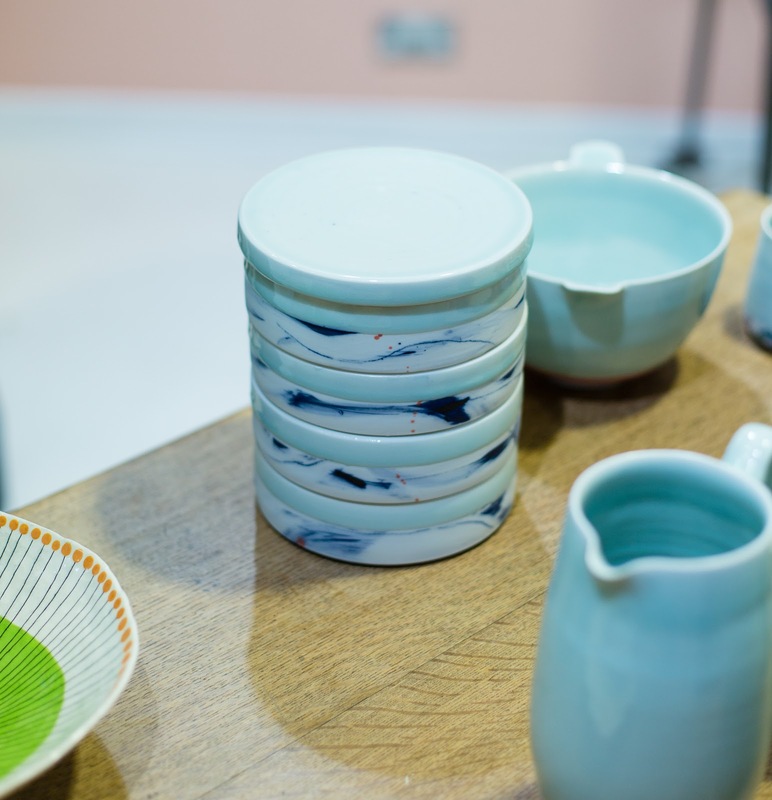 I was invited to Heal's Spring Summer '16 press show last December to view their new collections. 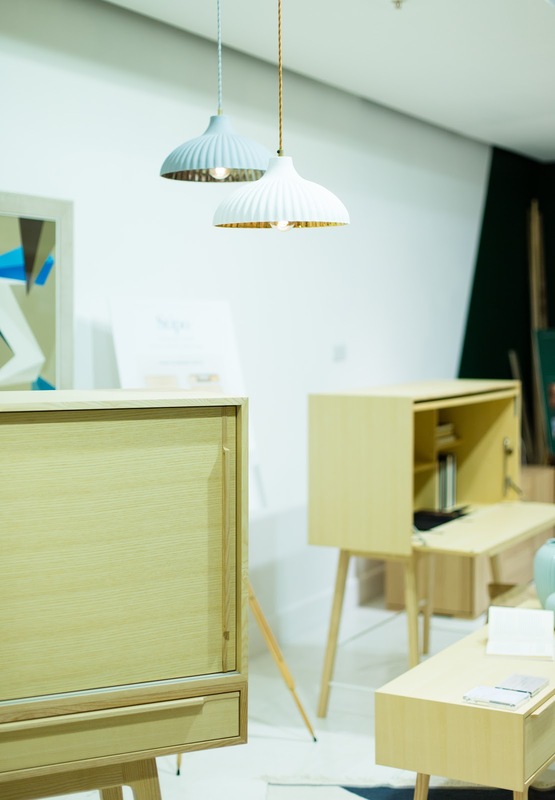 Heal's, a British furniture and furnising store, has been promoting modern design as well as young talented designers for over a century now. It feels always a little strange looking at spring/summer collections in the middle of all the Christmas craziness but it actually felt very refreshing. Again, Heal's did not disappoint. I've photographed some of my favourite pieces for the blog and I even came across some new extremely talented designers. Hangup ceiling lights seem still very popular. 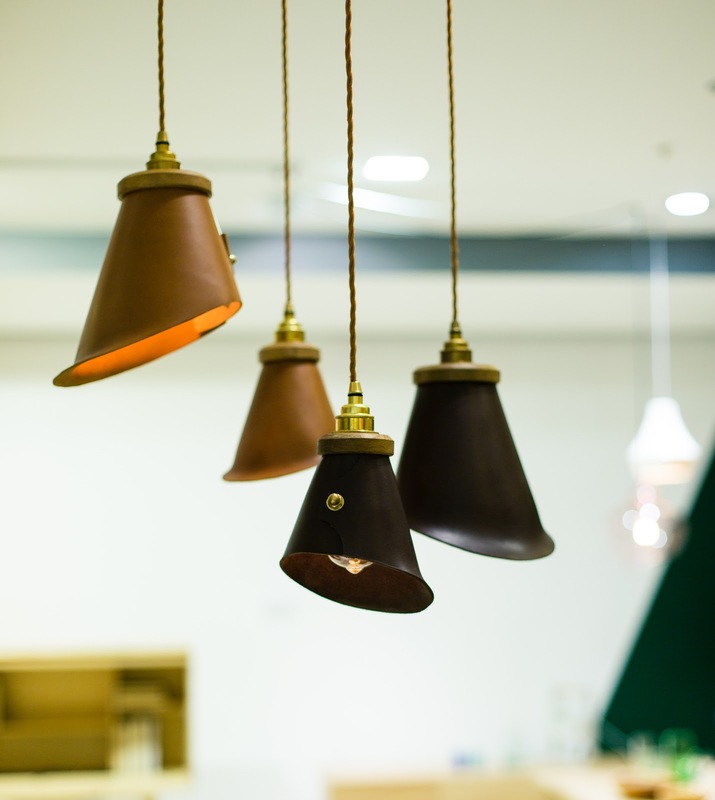 These leather pendants by Tedwood caught my eye as soon as I walked into the room. The English saddle leather and solid brass hardware look beautiful together. 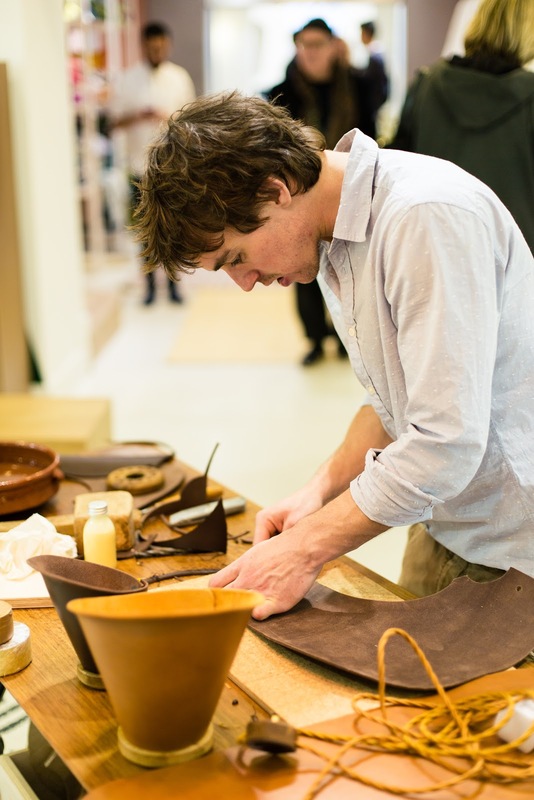 Each lamp is hand cut wet-moulded to allow the leather to develop a natural patina over time. They are available in small and large, with the option of a ceiling rose or plug and switch. I could actually smell the leather before I saw the pendants which proves just how stunning these pendants are. It was also fascinating to see in person how the leather is cut. Minimalism and warm metals are very much in trend at the moment. And, let's not forget about marble. 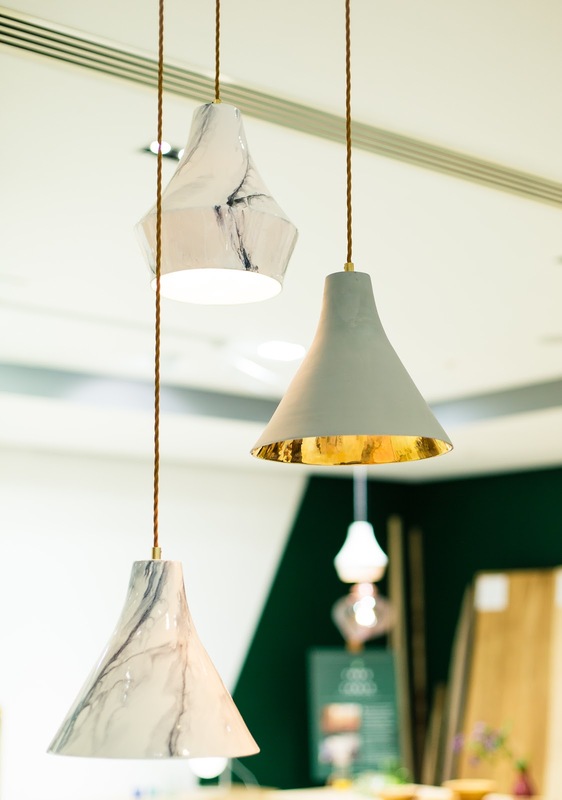 The Marney pendant in marble was also quite a show stopper for me. It's great to see that there is still so much marble available for customers to purchase. It's like a little black dress. It never goes out of fashion as far as I'm concerned. I also love the use of cold greys and warm metals that add a bit of contrast to any room. 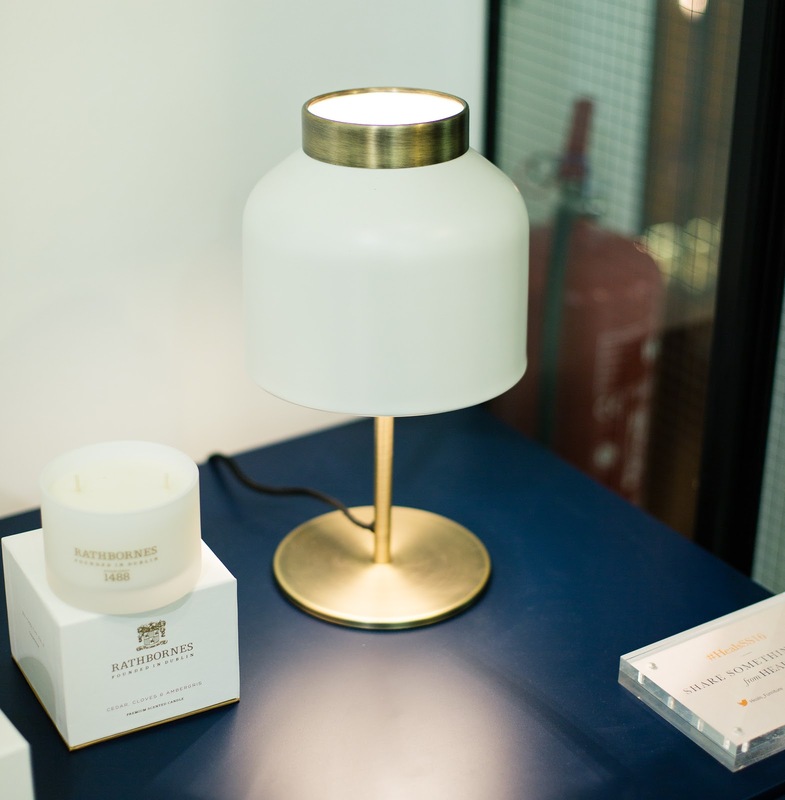 Apparently it's a big trend now for designers to create accessories to match the lighting. Have a look at the vase (below) that matches the Marney Pendant in grey/gold. What a great idea! The prints are by Maddison Graphic. 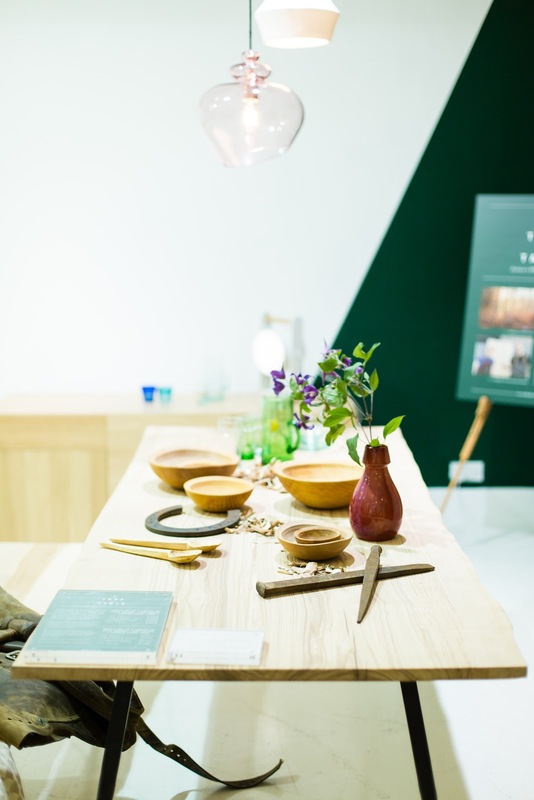 Another exciting discovery was Heal's Tree-to-Table project. The Dining room tables are made to order from British sycamore, oak, ash or limited beech and hand cut in the Greenwich workshop. 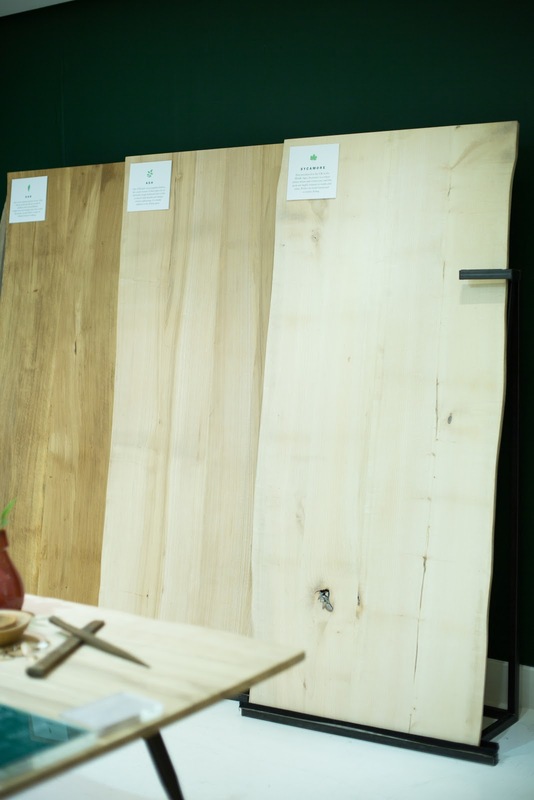 The wood is beautiful in it's variety of character and each board is completely unique. I love the natural grains and knots and for me this table is the epitome of Scandi design. The spoons and bowls are supplied by Owen Thomas Woodcraft. The spring/summer press show wouldn't be complete without some colourful accessories of course. 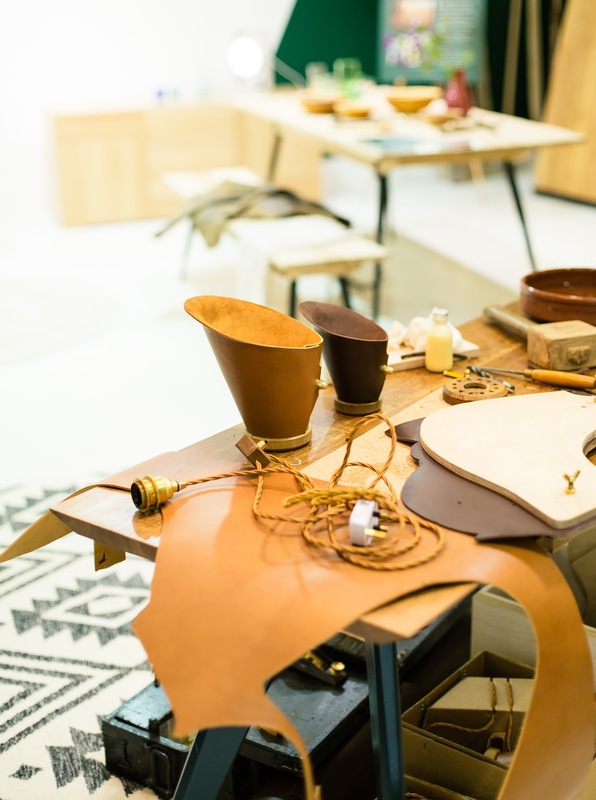 Again this year, Heal's has collaborated with independent designers and artisans to bring some beautiful designs for the masses. 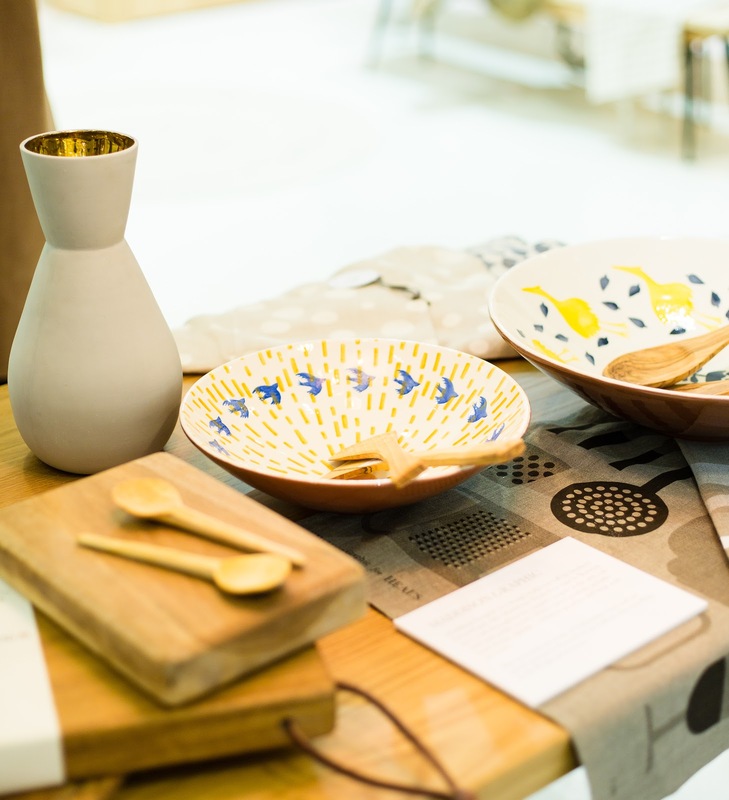 Heal's is this year promoting Irish made design and 30 Irish designers will be showcasing their work in Heal's Modern Craft Market in February/March. The plates and vases below are by Andrew Ludick Ceramics. Another range worth checking out are the stacks jar and bowls by Adam Frew Ceramics. 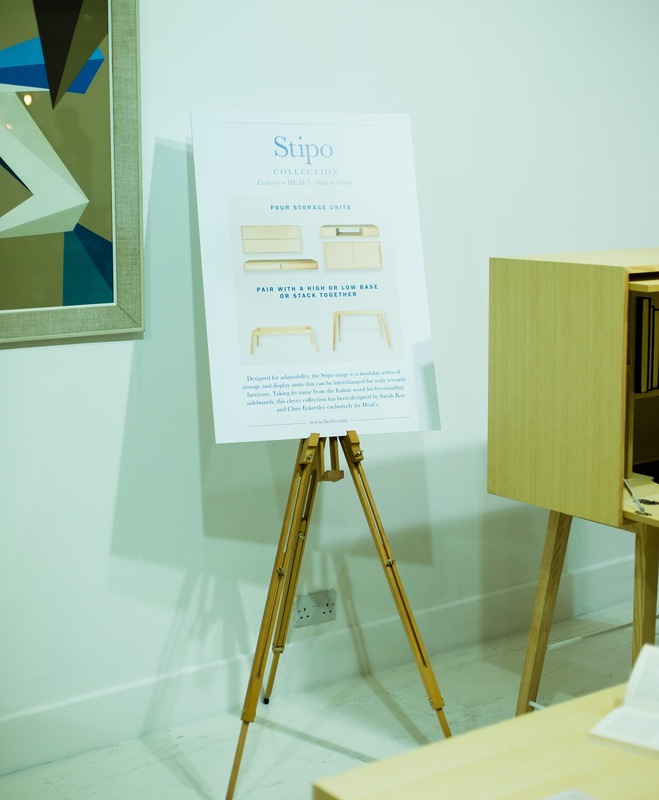 Heal's Stipo range is also pretty stunning in person. It's all about clever, space saving storage solutions and display units that can be mixed and matched to suit everyone's needs. The furniture doubles up in terms of the function which makes them particularly handy for small spaces. Optional shelves can also be supported to add an extra level of display to the bureau desk. The design is both timeless and functional but still provides an impressive display. I had to take a picture of this stunning side table lamp with gold detailing. How very chic and modern. 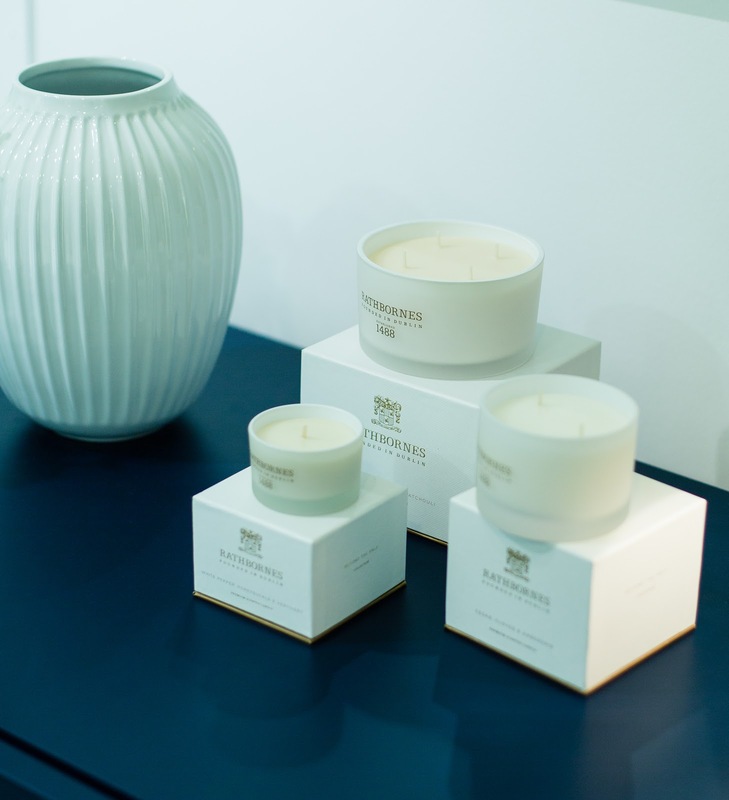 The Rathbornes candles, hand poured from one of the oldest candle makers in the world from Dublin, do make a lovely addition to everything I have seen in the press show. I haven't tested them yet but they are definitely on my shopping list now. 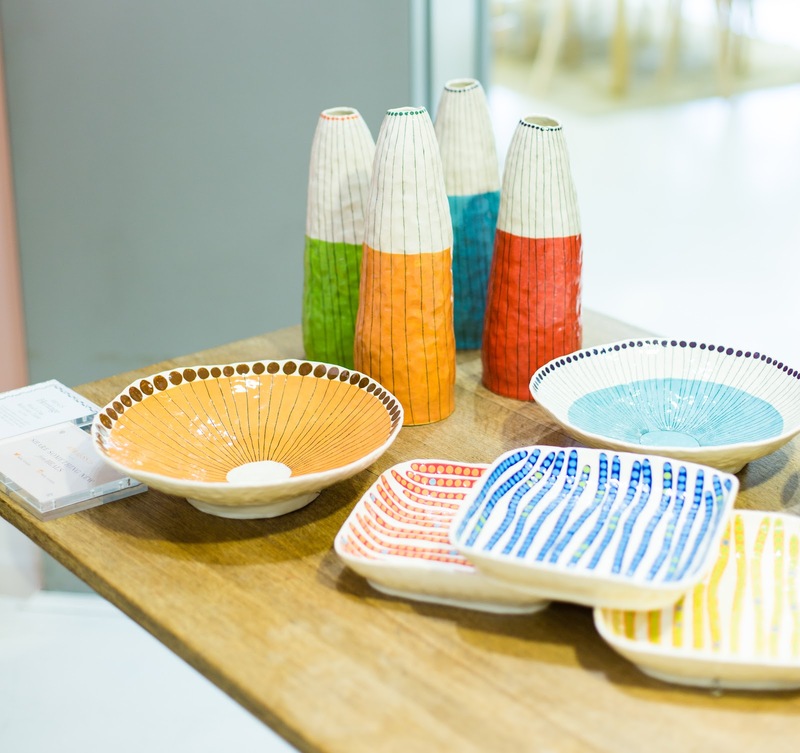 Heal's Modern Craft Market is returning this year in their Tottenham Court Road store and the work of 30 Irish designers and artisans will be demonstrated over a three week long period. I cannot wait to see the designs (our family is half Irish so I am biased of course) and to meet the designers behind the products. Keep an eye on Heal's events page for further details.